No place in New England has a seat at the table of American history like Eastern Massachusetts. From the city of Boston to the settlements that surrounded it, history has left an indelible mark that has withstood the unrelenting seasons of time. One of those settlements near Boston is the town of Grafton. It was originally called Hassanemesit (the place of small stones) by the native Americans living there. Only 35 miles from Boston, it was then part of the “howling wilderness.” This wilderness is where Joseph Merriam left his ancestral home in Concord, Massachusetts to settle and raise a family. His descendants continuously worked the land for the centuries to follow. Stories of the region include one that says that on the first night Joseph Merriam arrived in the new frontier of what is now Grafton, he slept in the cleft of two large rocks, a natural protection from the elements and other dangers associated with the rugged territory that he was about to transform into the family farm. 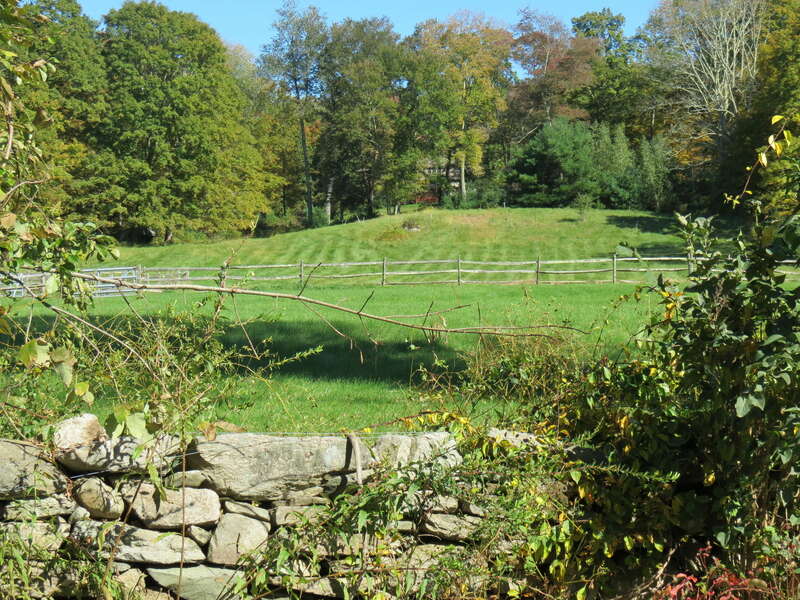 It would not be the only time that he and other members of the Merriam farm sought the protection of the large stone outcropping. The uneasy peace of the primeval woodland was disrupted from time to time by the inevitable confrontations with the regional native Americans who resented the expanding encroachment by the pioneers on their tribal lands, and those confrontations were often violent and tragic for both. The protection of the rock outcropping was utilized on a number of occasions by the Merriam pioneers when fighting broke out between the two factions. The spot became known as Indian Rock, and stands today at Merriam Woods as a marker of the hardships endured by all in the early days of American colonial expansion. Today, the old Merriam farmstead remains, still harboring its wilderness roots. It is embraced by an the bordering three hundred acres of legally protected land that also was once walked by the many generations of Merriams who farmed it, hunted upon it and who raised and taught their families to cherish it. That piece of historic ground is now called Merriam Woods. 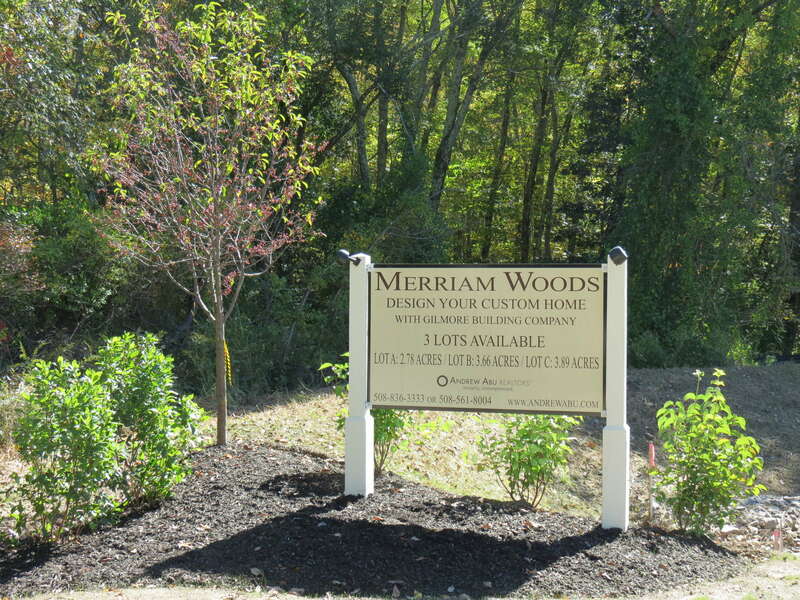 When you learn about it, Merriam Woods is one of those places that startles you. That is because it is a stone’s throw from the bustling economic endeavors of a modern society, and yet sleeps in the comfort of a long, undisturbed history. The streets and roads that lead from historic Grafton center to Merriam Woods are lined with the silent architectural markers of America’s history defined by the distinct architecture of the major stylistic periods. Georgian, Federal, Greek Revival and more are styles of homes easily recognized as important participants in a revered architectural past whose common thread is simple elegance. And that common thread is the offspring of the most impactful architectural influence ever experienced in human history, starting over two thousand years ago in ancient Greece and Rome and then England and then passed on to the American colonies. the past, will be tucked into the edge of that history and become its future and its legacy.